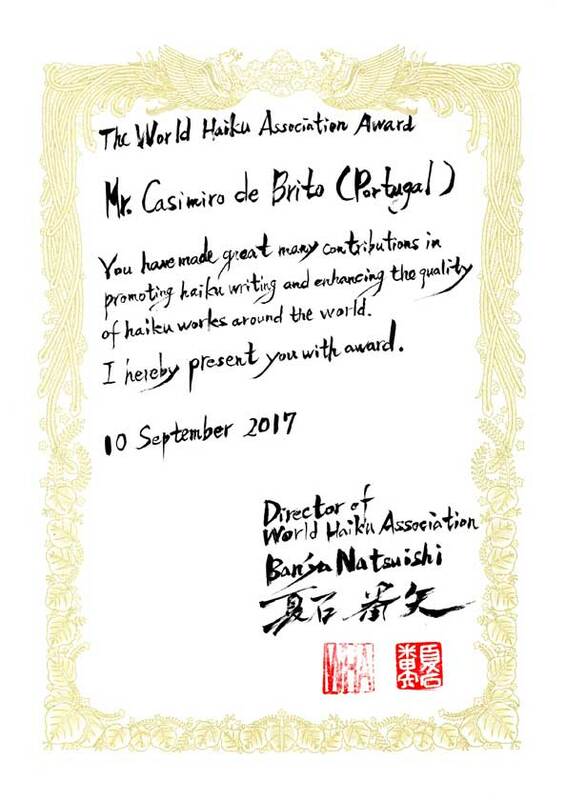 Announcement of Results: The 9th World Haiku Association Conference, in Parma, Italy, 10 September 2017. 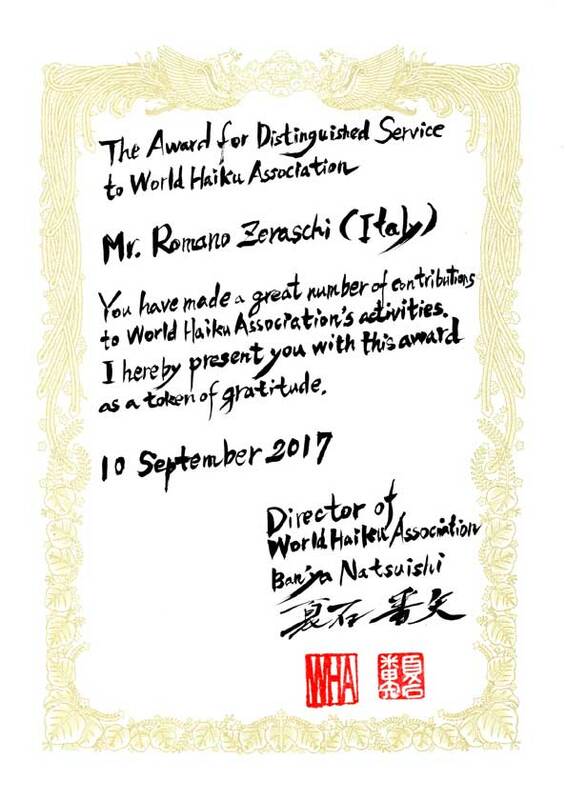 On April 29, 2015, “The Award for Distinguished Service to WHA” was given to Mr. Kuniharu Shimizu. 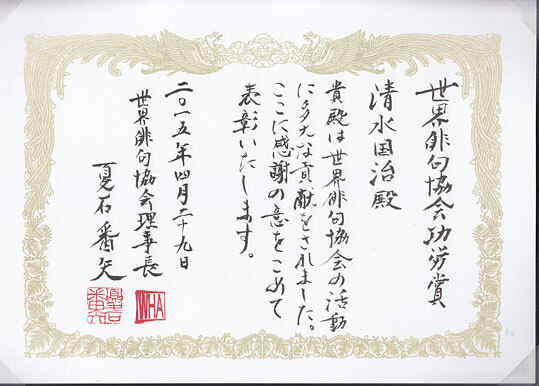 Mr. Shimizu has been one of the advisors to WHA, and the judge of the WHA haiga contest.